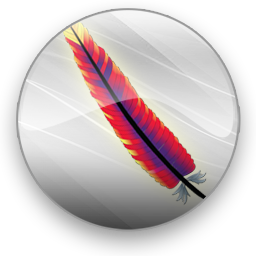 Apache Virtual Host is quite easy to set up. Here is an article on Apache Virtual Host with theoretical details and practical guide to set up. The useful resources related to this topic is an article on Apache HTTP Server, IP-Based and Name-Based Virtual Hosting and Virtual Private Server. In nutshell, from a network perspective, there are two basic types of virtual hosting to virtualization of Internet-based services. The difference lies in the method applied by the server when a request to determine which of the services provided by it has been asked for. For running name-based web sites on a single IP address, keep in mind that one server has a single IP address. CNAMES are multiple aliases. These CNAMES point to this specific server in DNS. So our prime target to use Apache Virtual Host to host for example two domain names on a single server. Without the setup of Apache Virtual Host, it is not possible to point to the right folder of a same server. Hash is comment (not counted as directive), the names in DNS must be resolving to your IP address, otherwise the websites will not be publicly viewable. This Article Has Been Shared 6399 Times! Cite this article as: Abhishek Ghosh, "Apache Virtual Host : Details and Guide to to Set Up Virtual Host," in The Customize Windows, March 19, 2012, April 20, 2019, https://thecustomizewindows.com/2012/03/apache-virtual-host-details-and-guide-to-to-set-up-virtual-host/.